A-shares once again stepped out of the situation of restraint and post-revolution last week, and the market differentiation was also more serious. The Baima blue-chip stocks led by SSE 50 sang all the way, and a large number of small and medium-cap stocks were very weak due to the frequent occurrence of landmines. The stock price fell again and again. However, on Thursday and Friday, the market rebounded more obviously, and many oversold stocks were favored by funds, and they came out of a relatively strong rebound. The small and medium board and the GEM index rose more than 3%, the Shanghai index also rose more than 1%, standing above 2600 points. From the monitored data, the number of shares in the last week was 165. The main fund's purchase amount last week was 9.775 billion yuan, the selling amount was 8.336 billion yuan, and the total net purchase was 1.44 billion yuan. From the data point of view, the overall trading activity of A-shares has obviously recovered, the number of transaction shares and the scale of transactions have greatly increased, and the recovery of the market on Thursday and Friday has a very positive effect. 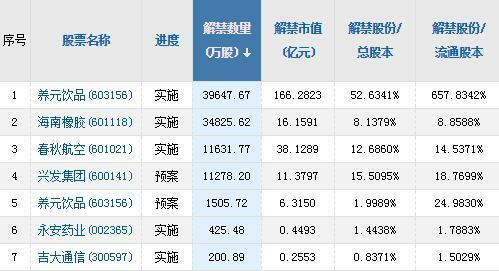 From the net purchase, the stocks that bought more than 100 million yuan last week have Senyuan Electric.Hualin Securities,Mingyang IntelligencewithDongshan Precision. Among them, Senyuan Electric was favored by funds last week, and the main purchase amount totaled more than 1 billion yuan. The company successfully closed the board on Tuesday. From the post-hours data,Shen WanhongyuanWestern SecuritiesThe business department of Beijing Dongsihuan Middle Road is the main buyer. The purchase amount is more than 800 million yuan, the selling amount is 112 million yuan, and the total net purchase is nearly 700 million yuan. In addition, Ping An Securities Shenzhen Shennan East Road Luohu Business Center Securities Business Department, Zhongtai Securities Qingdao Hong Kong Middle Road Sales Department,Haitong SecuritiesThe net purchase of Ningbo Zhongshan Road Business Department and Ping An Securities Shandong Branch also exceeded 40 million yuan, and the funds were very obvious. As the new leader of the recent brokerages, Hualin Securities has been very eye-catching. After the board was opened last Monday, the stock price has gone out of the turbulent downward trend, and it has once surpassed 9% on Friday. According to the monitored data, more than 20 hot money participated in the speculation of this new stock. Among them, CIC Securities Guangzhou Panyuqiao South Road business department shot the most generous, the purchase amount of nearly 140 million yuan, although shipped more than 5000 Ten thousand yuan, still holding nearly 90 million yuan in chips. Thereafter,Huatai SecuritiesShenzhen Yitian Road Rongchao Business Center Sales Department,CITIC Construction InvestmentGuangzhou Yuncheng South Third Road Sales Department, Shenwan Hongyuan Western Securities Shenzhen Shangbu Middle Road Sales Department and Huafu Securities Xiamen Hubin South Road Sales Department net purchase of more than 30 million yuan. On the other hand, more hot money options are fast-forward and fast-moving, Tibet.Oriental wealthThe sales amount of the second sales department of Lhasa Unity Road, the investment department of CIC Qingyang Road, the business department of Guorong Securities Chengdu Jindong Road, the sales department of Huatai Securities Xiamen Xiahe Road, etc. are very close, obviously earning After a little money, I fell into a bag. The other opening of the new Mingyang smart is also highly sought after by funds. The company opened its board for the first time on Wednesday and fell on Thursday, but it rose again on Friday, showing that the capital game is fierce. From the after-hours data, Mingyang Intelligent has more than 20 hot money participation, including Galaxy Securities Xiamen Meihu Road Sales Department,Industrial SecuritiesQuanzhou Branch, Cinda Securities Guangzhou Panyu Fuhua East Road Sales Department, Tibet Oriental Fortune Securities Lhasa Unity Road Second Sales Department and Huatai Securities Yangzhou Wenchang Middle Road Sales Department net purchase of more than 10 million yuan, and the highest net sellingGuojin SecuritiesThe net sales of Jinbi Road Sales Department in Fengxian District, Shanghai is also less than 10 million. Judging from the top ten stocks sold by the main force in Table 2, the overall shipment strength of the main force last week has decreased a lot compared with last week, onlyChen An TechnologyThe selling amount exceeds 100 million yuan. 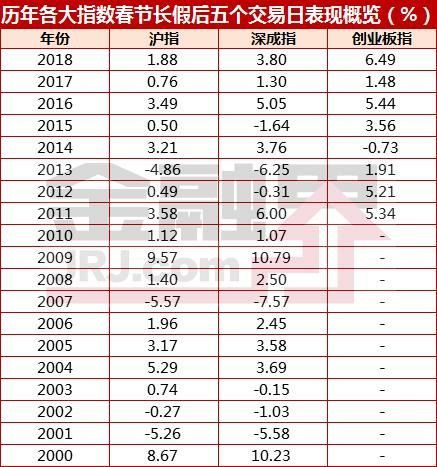 In the previous week, many stocks of landmine stocks continued to fall, but due to the sudden incident, the amount of money to change hands was generally not large. On Thursday and Friday, the market rebounded more clearly. As a recent benchmark stock popular stock, Quanchai Power has been very concerned by the market. The company's share price has doubled in January and peaked last Monday. Although the daily limit was closed on Tuesday, the market is still difficult to sustain. It was sealed on Wednesday and Thursday. On the daily limit, and Friday, it still fell 9%. From the monitoring data, we can see that the main shipments are quite strong, but many hot money took the opportunity to pick up the goods, in an attempt to continue to pull the market. Specifically, Huatai Securities Shenzhen Yitian Road Rongchao Business Center Sales Department andOriental SecuritiesShipments of Hangzhou Stadium Road's sales department were at the forefront, with net sales of 49.5 million yuan and 41.6 million yuan respectively. In addition,Nanjing SecuritiesZhangjiagang Donghuan Road Sales Office andChina Merchants SecuritiesThe sales department of Shenzhen Yitian Road Duty Free Business Building also sold more than 20 million yuan. The sales department of Dongfang Securities Hangzhou Longjing Road and the business department of China Merchants Securities Liuzhou Jiefang North Road sold about 15 million yuan. In terms of buying, Shanghai-based hot money is the main business, Galaxy Securities Shanghai Yangpu District Jingyu East Road Sales Department,Tianfeng SecuritiesShanghai Fangdian Road Sales Department andChangjiang SecuritiesShanghai Century Avenue business department net purchase of more than 20 million yuan, but unfortunately from the trend of the future, the joint efforts of a number of hot money is also difficult to shake the trend of the stock. On the news front, Quanchai Power recently said that after self-examination, the current production and operation activities are normal, and production costs and sales have not fluctuated significantly. At the same time, the company said that as of now, the fuel cell market has just started, there is still a lot of work to be done from commercial use. The fuel cell business of Yuanxiao Company is still in the stage of research and development, not mass production, and has little impact on the overall business of listed companies. In November 2017, Quanchai Power and two natural person shareholders invested in the establishment of “Anhui Yuanhao Hydrogen Energy Research Institute Co., Ltd.” (hereinafter referred to as “Yuanyu Company”) with a registered capital of 40 million yuan, and the company accounted for 75% of the registered capital. The business scope covers the development, production and sales of hydrogen fuel cells, power systems and fuel cell core components as well as new materials. The data shows that in the first three quarters of 2018, Quanchai Power achieved a net profit of 36.712 million yuan, down 45.26% from the same period of the previous year, and the net profit was 8.278 million yuan, down 74.68% from the same period of the previous year. Quanchai Power said frankly that in the first three quarters of 2018, the gross profit of the company's products decreased, which in turn affected the decline in net profit. As can be seen from the data in Table 3, the sentiment of hot money last week is still slightly entangled. There are only 7 hot moneys on the list more than 10 times. The top two are the second sales department of Tibet Oriental Fortune Securities Lhasa Unity Road. Ping An Securities Shenzhen Shennan East Road Luohu Business Center Securities Business Department, Huatai Securities Shenzhen Yitian Road Rongchao Business Center Sales Department and Ping An Securities Fuzhou Changle North Road Sales Department. Among them, the second business department of Tibet Oriental Fortune Securities Lhasa Unity Road and the sales department of Huatai Securities Shenzhen Yitian Road Rongchao Business Center have been the flag of many well-known hot money, and the recent activity has been at the forefront. However, it can be seen from the amount of the two companies that the pre-holiday hot money will be more cautious, and the short-term operation is more, and the attitude of falling into the bag is more obvious. 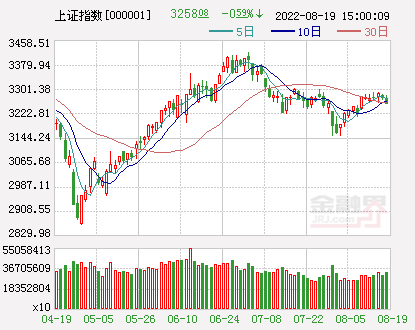 It is worth mentioning that the net purchase of Shenzhen Stock Connect last week was positive, but the size of the purchase and sale amount is not large. Specifically, Shenzhen Stock Connect has intervened in the trading of 22 stocks last week. The purchase amount is 350 million yuan, the selling amount is 186 million yuan, and the total net purchase is 164 million yuan. From the data in Table 4, last week's empty momentum has also been exhausted, and the trading performance before the holiday is relatively obvious. The institutional seats last week involved a total of 43 stocks, with a purchase amount of 422 million yuan, a sales amount of 608 million yuan, and a total net sales of 186 million yuan. The brokerage business department that sells the net amount in the forefront has a certain number of listings. Obviously, it is still safe, and the operation of withdrawing funds is mainly based on the amount of money. If you want to see the power of the hot money, you have to pay after the holidays. The first five trading days of the company's listing, there is no ups and downs, is it tempting? The public fundraising of private equity funds is like this! The stock price of the hot money has fallen sharply.